Hearing that pinterest is driving as much traffic to businesses as google +, Linked in and youtube combined is all very well, but how do you know that your pinning is working? How do you monitor your efforts and time spent on pinterest? How can you tell what % of your pins are being repinned? How many people are visiting your website as a result of your activity on pinterest and if pinterest is helping your bottom line? One way to see which pins are being pinned from your website is to place your website after www.pinterest.com/source as shown here – www.pinterest.com/source/write-on-track.com – this will show the pins pinned by myself, Marie and any other party who has pinned our blog posts. Pinterest also emails you each time a pin is repinned, liked or commented on – this information also comes for any pins you have repinned. 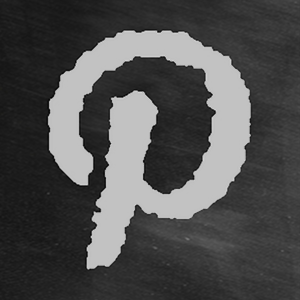 I have started using Pinerly to assess the success of my pinning. Pinerly is a new website that provides pinanalytics, tips, suggested people to follow and will be introducing scheduling of pins shortly too. It will only provide a report on those pins pinned via the pinerly bookmarklet hence it will only provide information on the pins you have pinned yourself, not on those pinned by other people. 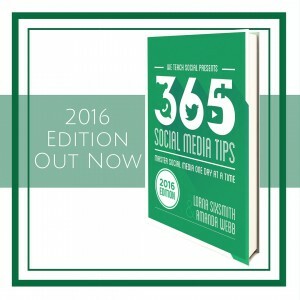 You need to install the pinerly bookmarklet to your bookmarks bar and pin the image or blog post by clicking on it. Each image that is pinned creates a separate ‘campaign’ and Pinerly provides statistics on your campaigns daily and it also sends you a weekly update to show your progress. Once you click on the pinerly bookmarklet, this box will open and you fill in the details as shown. You can add text to the picture if you wish to as well. You then click on the Pinerly It button, and it will ask you to click on a ’pin to pinterest’ button and you can choose which board to pin to, hence it is a two-step process rather than just a single step. I have to admit I’ve been so busy lately that I haven’t been using pinterest or pinerly as much as previously. However, what I have noticed is that while my recent pins haven’t been getting very many repins or likes, they have been receiving click throughs to the website. My pins receive many more clicks than they do likes or repins and that surprised me. The pinanalytics will also tell you the reach that each pin achieved. When you look at the statistics in Repinly and see how many repins some pins manage to achieve while you get one or two, it can be a little disheartening for some. But I would argue that the value is also in the click throughs, those people who are clicking to see your blog post or your product. Being able to see the number of click throughs in pinerly is one of its strengths. 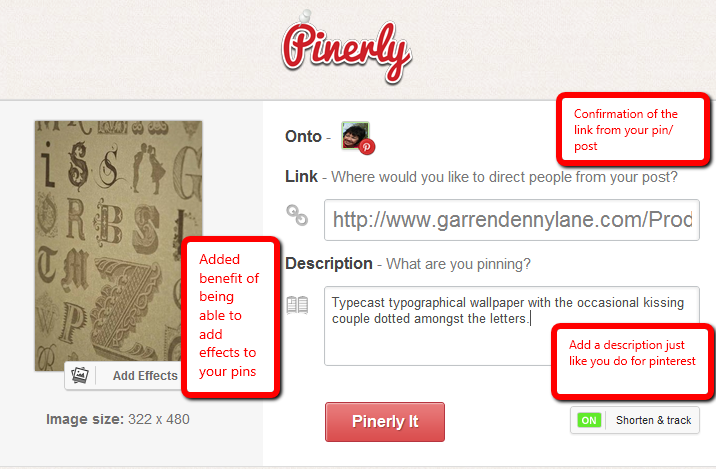 Pinerly offers a number of suggested pinners to follow under the various categories. They emailed me over a week ago asking for my information as they were going to add me to one of the categories. It will be interesting to see if I get many new followers as a result once they add me to it. 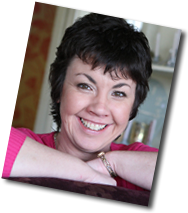 I had to wait a couple of months for my application to Pinerly to be accepted, they are allowing people to join by invitation so if you would like to try it out, do send me your email address and I’ll send you an invite. Google Analytics would be the most reliable method to guage your success and evaluate how to improve. I have to admit that I have still to set up funnels in Google Analytics to see what sales are resulting from click throughs to the website. I intend to do that asap and then I’ll share the results with you.